We are delighted that the Novel Entertainment produced television programme CINEMANIACS will begin an eight week run on Saturday 7 February at 9.00am on CBBC. Our central goal is to put film at the heart of children and young people's learning and cultural experience and this series shares that aim. 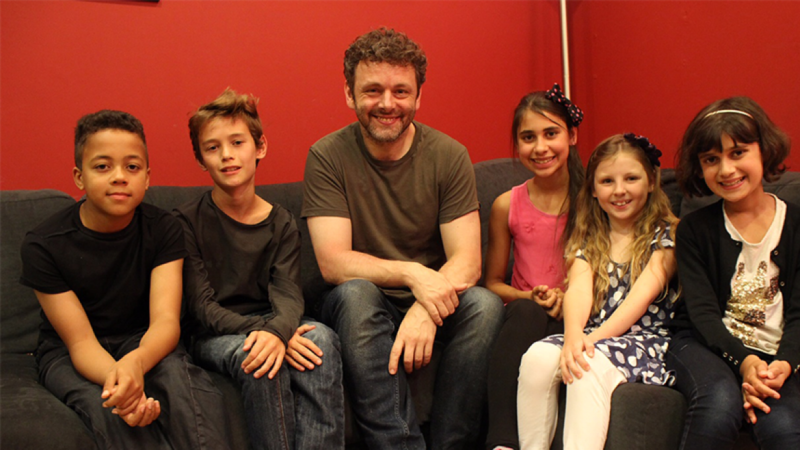 The idea for a factual entertainment series aimed at 6-12 year old film fans, where children look at all aspects of film from a humorous angle, was originally conceived by our very own ambassador and celebrated character actor, Michael Sheen, alongside director Julian Kemp. A short taster was produced in association with Into Film, with the series commissioned by Cheryl Taylor, Controller CBBC. Lucinda Whiteley, co-founder of Novel Entertainment, and Executive Producer of CINEMANIACS adds: "We want to convey the excitement of the movies whilst also encouraging and helping our young audience to experiment with making their own films." We know that children start their love affair with films at an increasingly young age, and we wanted to capture that in a TV series that not only inspires them, but gets kids actively involved in the art of moviemaking. The series is focused on encouraging a knowledge, appreciation and love of film in a younger generation of film fans and filmmakers, and the creativity, inventiveness and enthusiasm for the medium shines through from both the young participants, and the established talent, as they collaborate and interact. The show is presented by YouTuber Oli White and features a number of our supporters, including Sir Ian McKellen and Sheen himself, who will all share their knowledge of making films. Over 200 children will take part in the series, and some of them are Into Film Club members who you may recognise. Paul Reeve, Into Film Chief Executive says: "This television programme will engage a whole generation of children and young people in the excitement and the magic of film, and will inspire and help to create the informed, curious cinema goers and filmmakers of the future." Hugh Lawton, Executive Producer, Independents, CBBC, says: "Made by, with and for kids, CINEMANIACS is stuffed like a popcorn carton with every fascinating facet of films to entertain the next generation of movie makers." If you want to send in a video of your own to CINEMANIACS then head to the CBBC website, or you can find out more at iWonder, and you'll find loads of clips and trailers on CBBC YouTube.